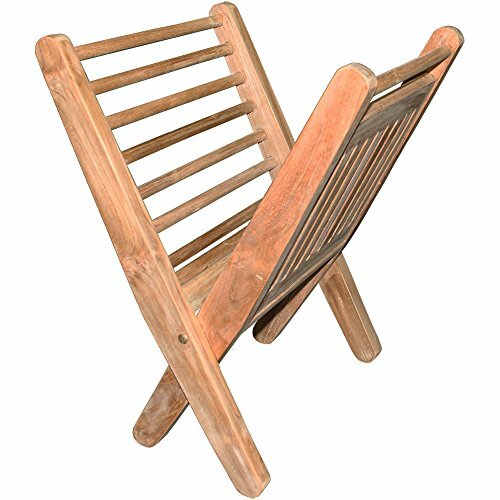 The unique "X" design of this Teak Magazine Rack makes it a perfect accent to a spa, bath, or any room. This solid teak rack is a decorative way to display and store your favorite magazines. This solid teak rack is a decorative way to display and store your favorite magazines. Teak wood will endure for years of enjoyment. Made with 100% sustainably harvested teak wood. Generously sized to hold oversized magazines. If you have any questions about this product by PDC Furniture, contact us by completing and submitting the form below. If you are looking for a specif part number, please include it with your message.